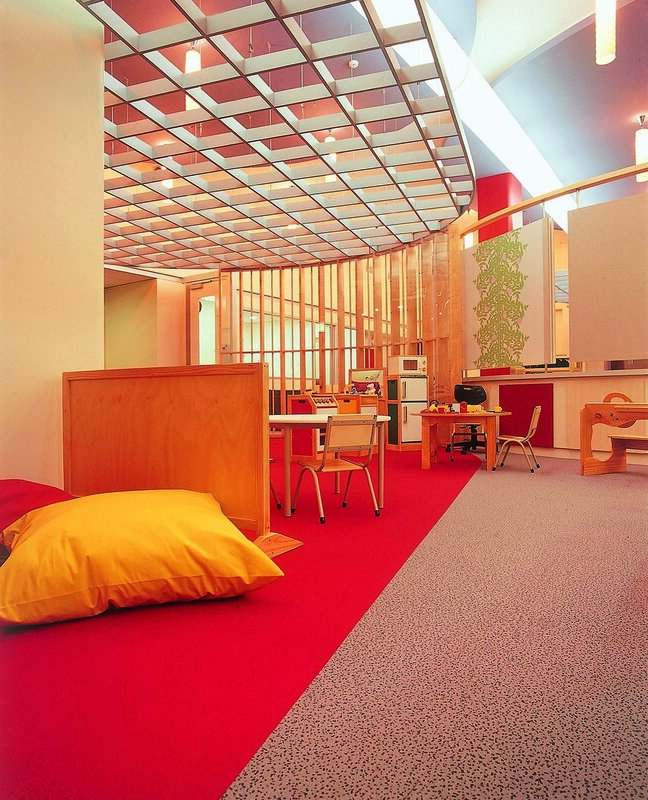 A children's gallery filled with light and natural materials. 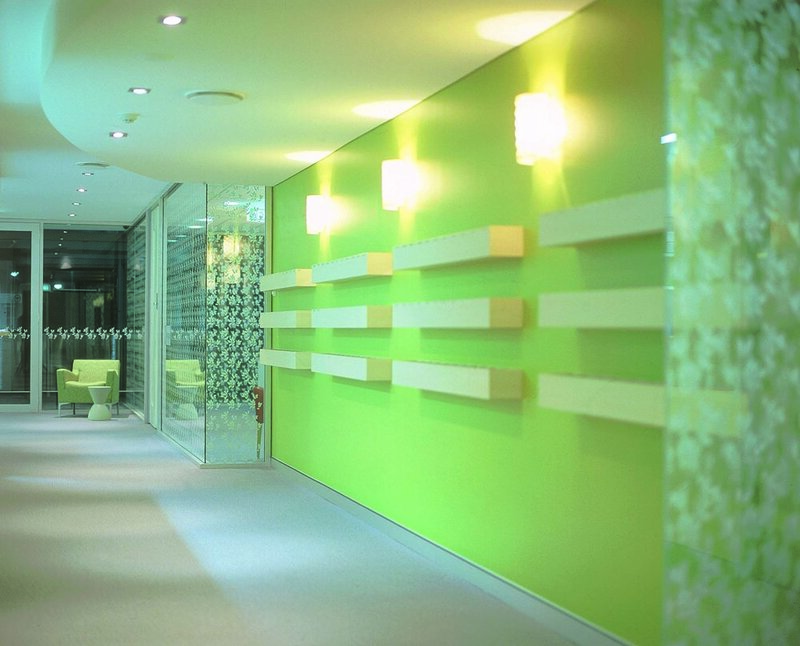 Angela Ferguson was lead designer and client manager for this project prior to joining Futurespace. The briefing process involved the feasibility study of various sites, within the unusual constraint of being situated under a flight path. The final site was eventually chosen due to its large outdoor area, abundance of natural light, the spatial qualities of the interior and its availability. A range of consultants were co-coordinated during the project, including landscape architects and acoustic, traffic and services engineers. Conceptually the theme was a global one – a notion of diversity which aligns with Qantas’s core business – and was explored through the use of texture, color, spatial relationships and architectural detailing. 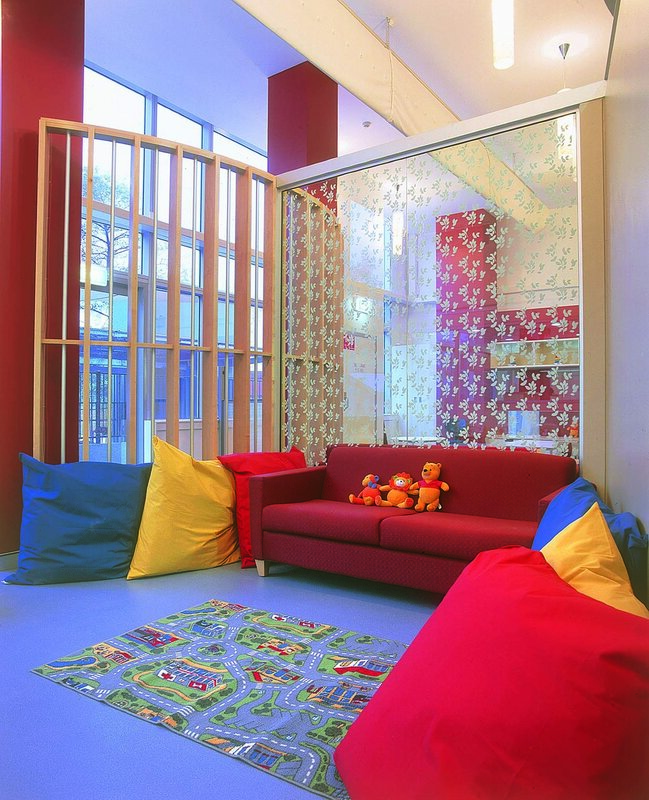 Other important themes included the idea of the playrooms as gallery spaces, showcasing both the children and their artwork. A high degree of flexibility was required within the centre in order to allow the Director to cater for various programming needs. 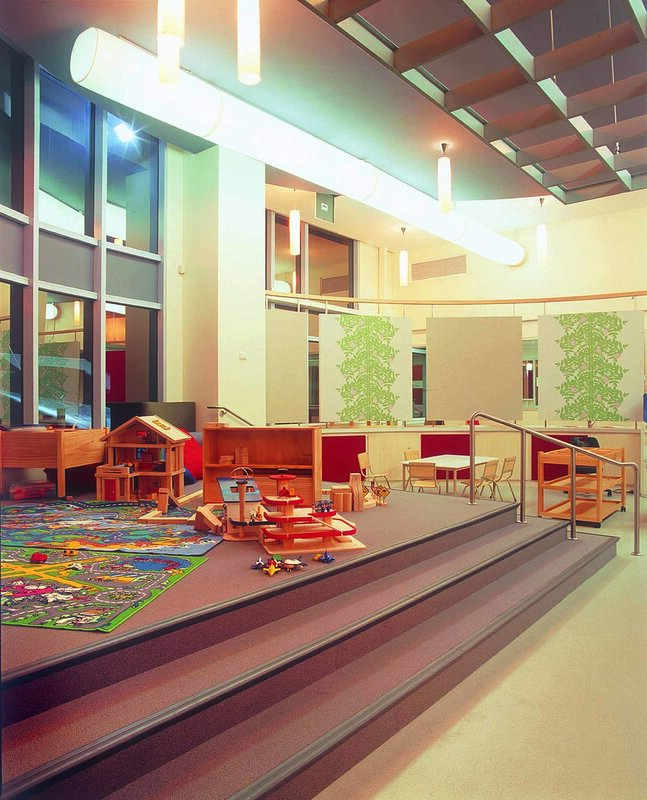 Finishes and details throughout are durable and low maintenance and contribute to both an innovative and cost effective design solution.